At first glance the question, ‘Is your house killing you?’, might seem a trifle overdramatic. That, or it reads like a rejected title for a bad horror movie. However, the threat, as implausible as it might sound, is real. Primary among these are problems caused by mould and damp. A recent report published by the English Housing Survey found that 5% of households in England live in a home with damp issues. * This can lead to severe respiratory problems - commonly sinusitis and bronchitis - allergies and asthma. Research has shown that people with asthma were twice as likely to live in homes with damp as those without. Lung disease - one of the worst outcomes of living in a cold and damp climate - kills around one in five in the UK. And at present, the situation doesn’t show any sign of improvement. While deaths from cardiovascular diseases declined over the period 2008 - 2012**, deaths from lung disease-related illnesses remained constant. As the weather turns colder and wetter - the primary causes of damp and mould - leading high street hardware retailer Robert Dyas has highlighted a number of solutions that will help prevent these twin evils. 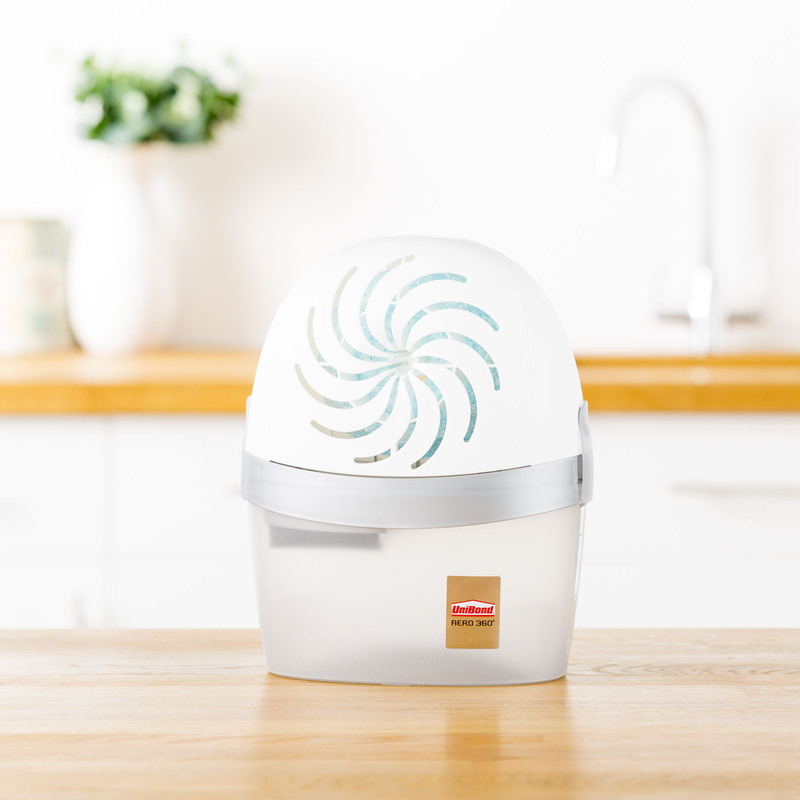 The Unibond Aero 360 Moisture Absorber (£7.99) which is a refillable super-compact dehumidifier designed to keep homes dry using a moisture absorber. It circulates air through and around the suspended tab for up to 40% improved efficiency and up to 70% neutralisation of bad odours, making it great for kitchens and bathrooms. Mould remove spray (£3.99) is ideal for tiles and walls, particularly in problems areas such as the bathroom and kitchen. A damp detector (£13.99) will enable you to combat any signs of damp before the tell-tale signs are visible. This moisture trap (£6.99) is a simple method of absorbing moisture in your home thus preventing mould and mildew. Media information provided by Famous Publicity. For further information please contact Adam Betteridge at adam@famouspublicity.com, Becky Lushey at becky@famouspublicity.com or Tina Fotherby at tina@famouspublicity.com or call the office on 0333 344 2341. This press release was distributed by ResponseSource Press Release Wire on behalf of Robert Dyas in the following categories: Men's Interest, Health, Home & Garden, Women's Interest & Beauty, Environment & Nature, Consumer Technology, for more information visit https://pressreleasewire.responsesource.com/about.